Today MSC Cruises and Fincantieri marked a key milestone in the building of MSC Seaview with the celebration of the coin ceremony for the MSC Seaview. The coin ceremony takes place when a ship’s keel is laid, at the early stages of its construction. Tradition dictates that two long-standing employees representing the shipyard and the ship owner act as godmothers for the ceremony, placing two coins under the new ship’s keel block as a sign of blessing and good fortune. Today Michela Bullo, from Fincantieri, and Loredana Giammusso, from MSC Cruises had the honor of performing this task. MSC Seaview will come into service in June 2018, sailing the Western Mediterranean in her inaugural summer season. She will then continue her deployment in Brazil. 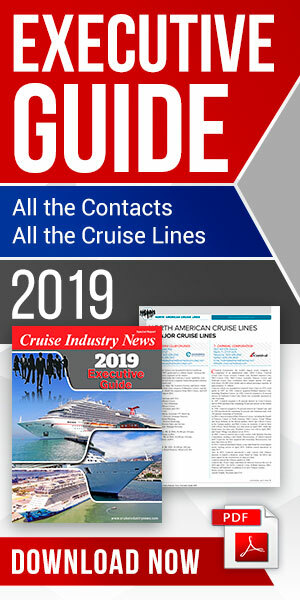 Gianni Onorato, MSC Cruises Chief Executive Officer added: “MSC Seaview will bring guests and the sea closer to each other, with a pioneering beach condo concept and other unique design and product elements that allow to make the most of the warmer weather. With one of the highest ratios of outdoor spaces at sea, guests will also enjoy an increased number of balcony cabins, sea views and outdoor public areas, with every element carefully planned to allow to make the most of the sea and the sunshine."